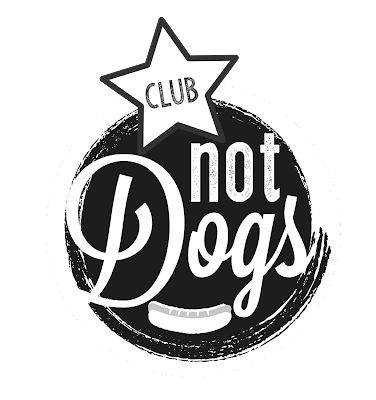 Club Not Dogs is a very special collection of Not Dogs fans who want to join us in changing the world one Not Dog at a time through delicious meat-free food that’s better for you, animals and the environment! All you need to do is enter your email address at: https://www.notdogs.co.uk/club (completely free of course!) and each month, we’ll send you updates, exciting news and exclusive insights. Plus, with every newsletter you’ll get an exclusive offer that only members of the Club can get! 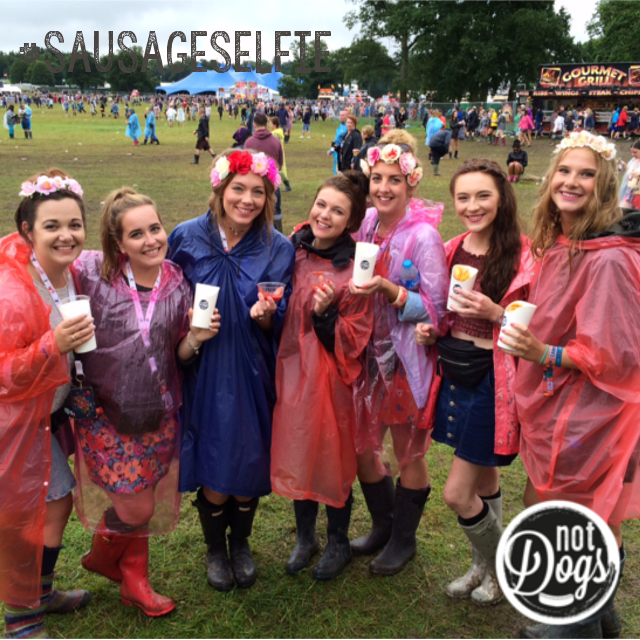 Think free toppings and hot drinks and even % off your whole order. What’s not to love? Head over to the website now - we can’t wait to have you join us! 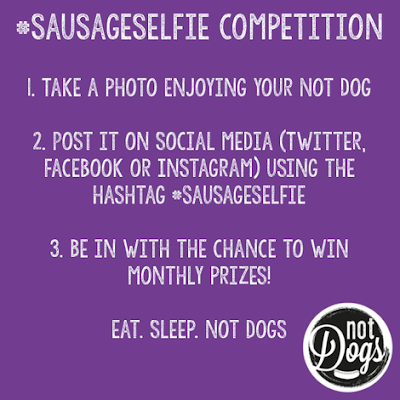 Not Dogs’ Sausage Selfie Competition! 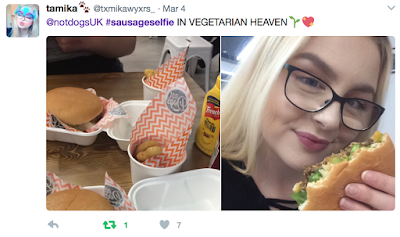 Our March #SausageSelfie winner was this lovely lady! 'Veggie heaven' awaits her with breakfast, lunch, dinner and dessert on the house! 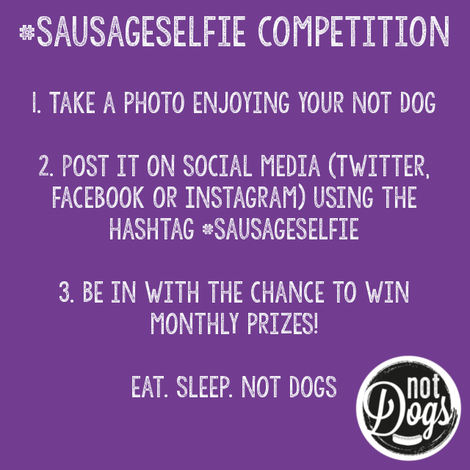 We know not all of our fans can make it to the Birmingham store so if you’ve visited our little purple food truck or seen us at events around the country - you can share them too to be in with the chance of winning our competition!